The rich, lush green variegated leaves of the faux nephtytis rise up out of the included turquoise planter and then cascade down on delicate creeping branches. 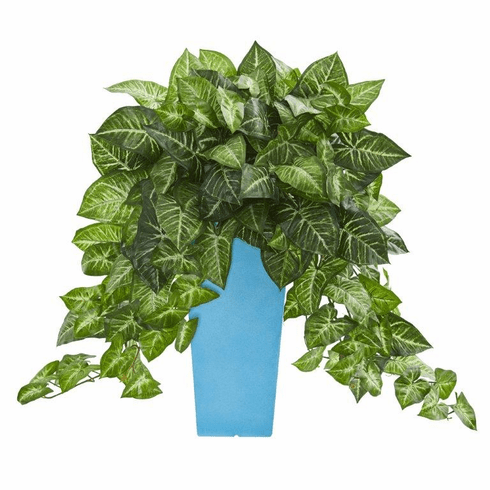 Crafted with the utmost attention to detail, this realistic leafy plant can brighten up a room and add a punch of color when placed on an end table. Pair it with other foliage-rich faux plants with coordinating or contrasting vases for a complete eye-catching arrangement.